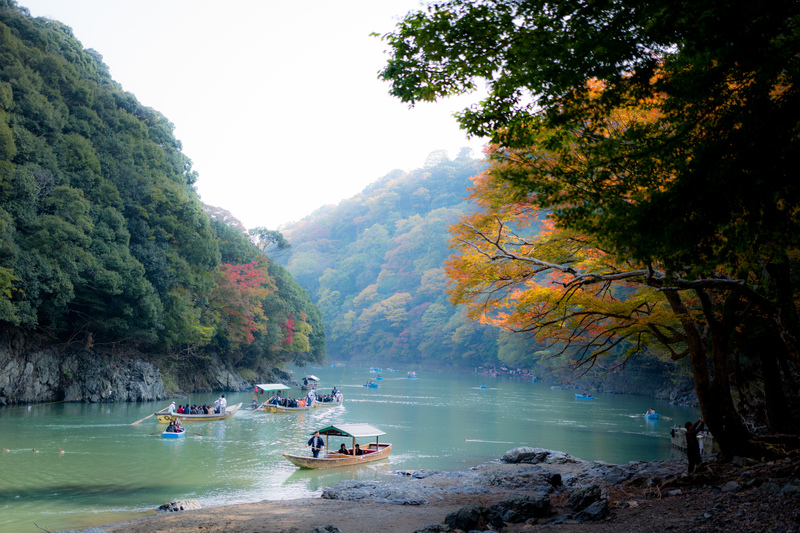 For centuries a source of respite and escape, Arashiyama offers a glimpse of natural beauty outside of Kyoto. The district has a variety of outdoor activities: visit the Japanese macaques in the monkey park, or take a rowboat out onto the lake. Don't miss the bamboo grove, a gentle uphill trail through densely packed stalks, ending at a historic imperial villa and its surrounding landscaped gardens. To find out how to plan a trip to Kyoto, use our trip itinerary maker. This was easily one of my favorite place to visit in Japan. It was crowded and full of tourists and there’s only a narrow path to follow around the beautiful garden and to a bamboo forest. What a magical and well kept place. Magical place. Was quite busy as we were there at the height of cherry blossom time, but it’s a must visit. Lovely facility and nice little shops down the hill.